For longer distances or to improve reception in troublesome areas, add one or more Wireless Repeaters. 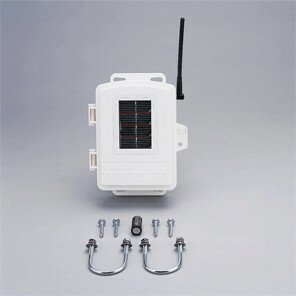 Transmitting and receiving range for each repeater is up to 300m outdoors, line of sight; typical range through walls under most conditions is 60 to 120m.Includes solar panel, regulator circuit, and rechargeable battery. Use up to eight repeaters with a single wireless station, or form a network of weather stations by linking eight repeaters to eight different wireless stations.